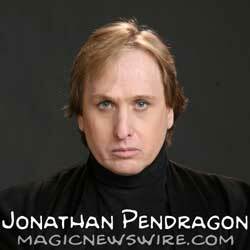 EXCLUSIVE :: The unexpected arrest of Jonathan Pendragon in July of 2009 shocked the magic community. Needless to say, "the incident" left everyone wondering what would become of one of the most amazing magic acts that we had ever seen. The idea that we would see no more of "The Pendragons" and their amazing brand of physical magic was hard to imagine. In this, his first public interview since "the incident," Jonathan talks about what happened, what he feels contributed to it and where he goes from here. Because of ongoing legal issues, not every question that you may want to have answered is addressed. In spite of that, this conversation will begin to answer the questions that many of our listeners may have as to what happened to one of the most highly regarded performing couples in the history of modern magic. Thanks again to Jonathan for being so open as to discuss this as he sets out on a new performance and lecture tour.